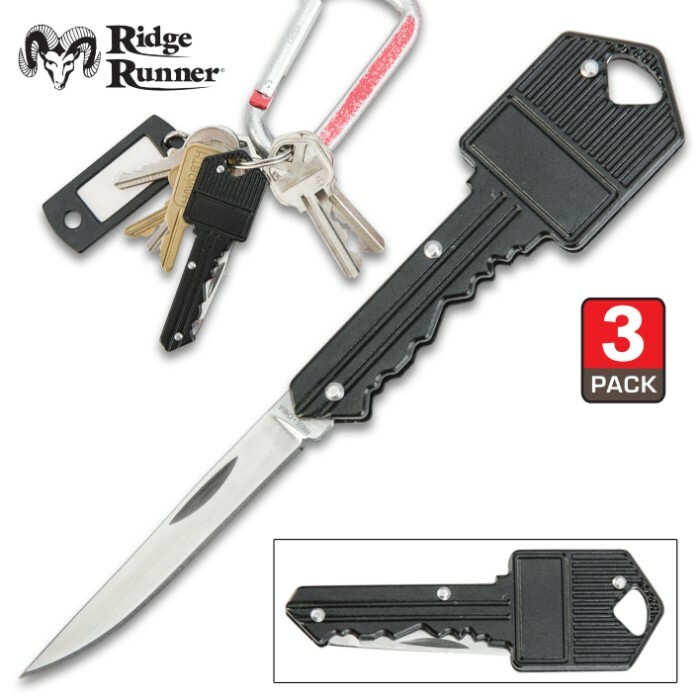 Ridge Runner Key Pocket Knife - Three Pack | BUDK.com - Knives & Swords At The Lowest Prices! You get three of these keys in this pack! This key folding knife fits right on your key chain and looks just like a real key! Hidden inside is a 2" blade constructed of 420 stainless steel. The black anodized aluminum handle gives you a secure grip and also makes this knife look like a real key. You get three of these keys in this pack!